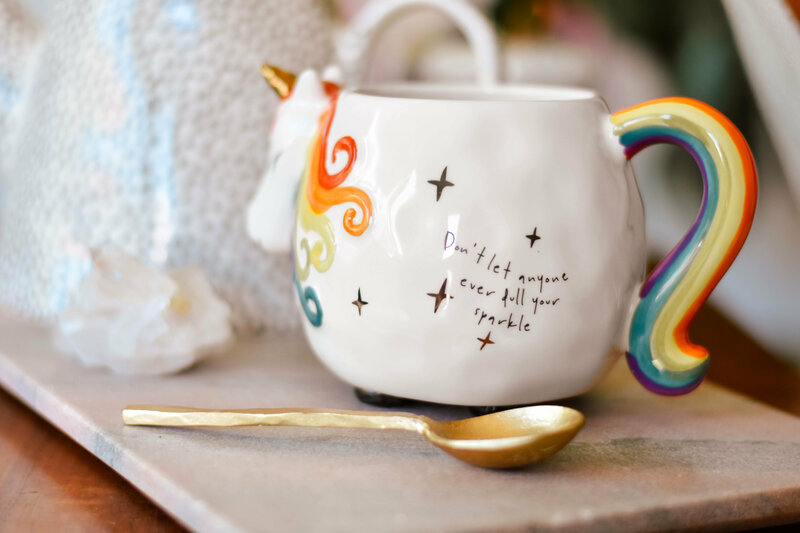 Don't let anyone ever dull your sparkle! 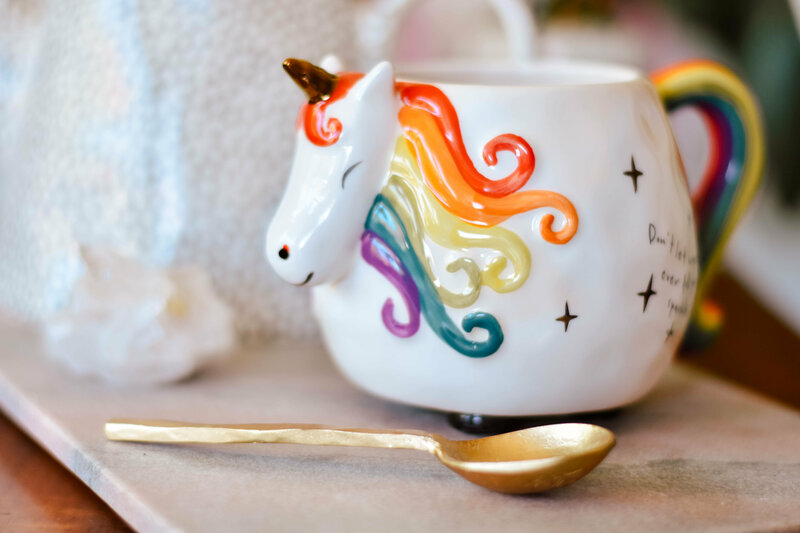 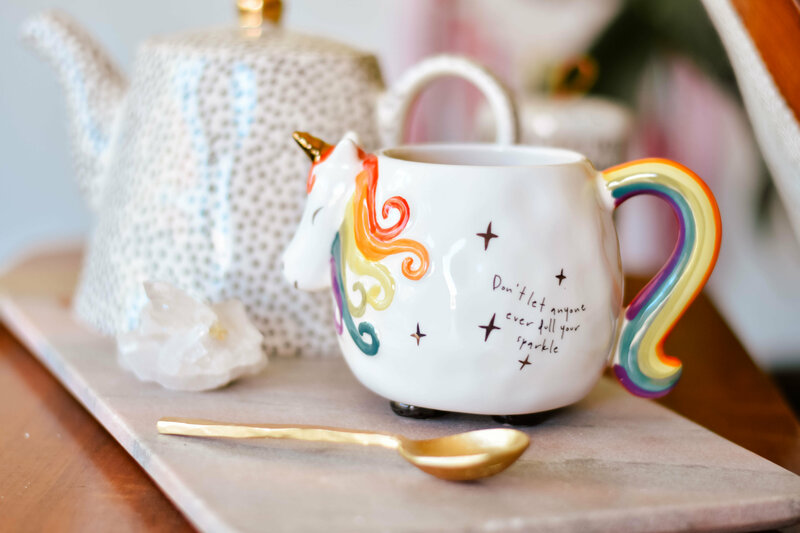 Embrace your colorful side with this rainbow unicorn mug. 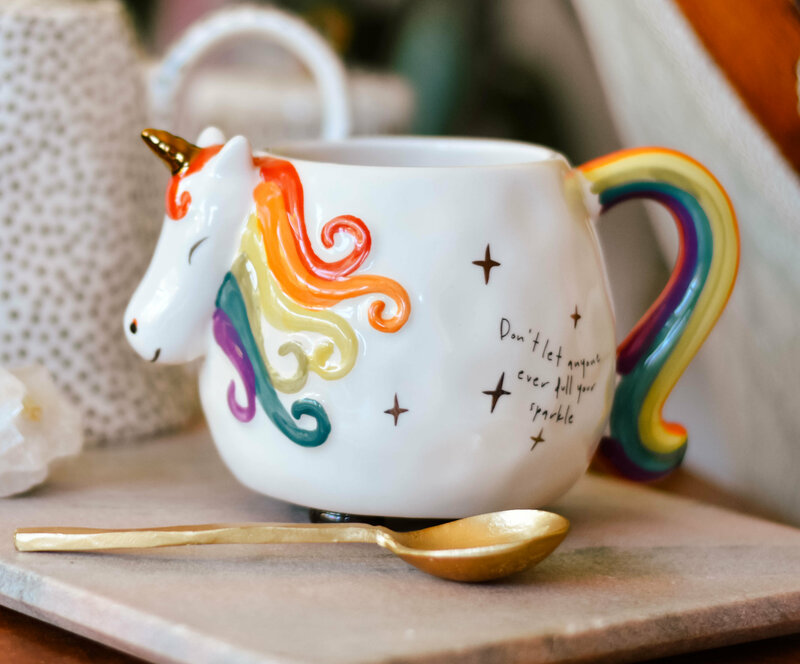 Sip your favorite hot beverage and embrace the magic!